Good Monday everyone! It's the last Monday in January, so it's time for a card size that is different than A2. 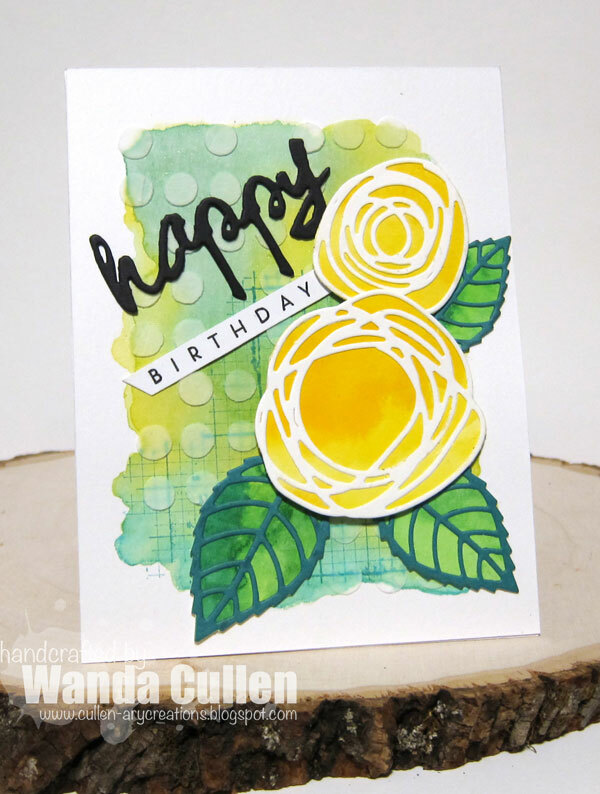 We're getting closer to spring so that inspired me to choose some spring-like colors for my Mojo Monday challenge card! Papers are from Recollections' Craft It Flora 6x6 pads. My finished card size is 5" x 5". 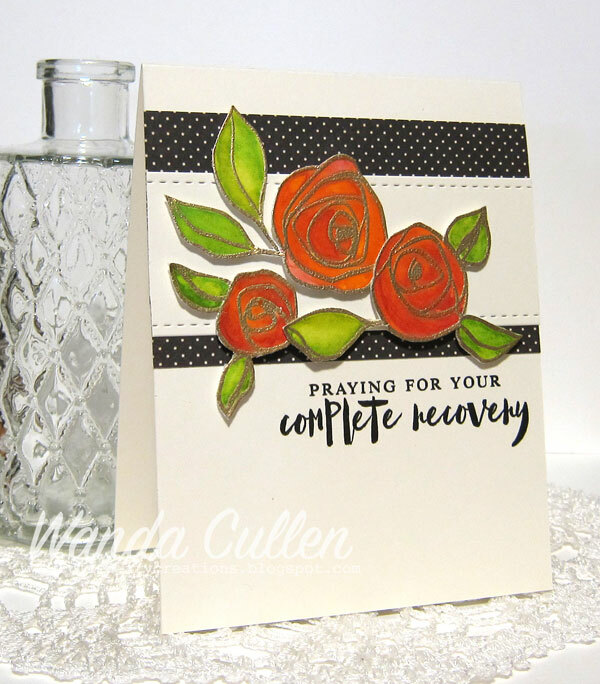 STAMPS: Hope Blooms, No Matter What by Verve. 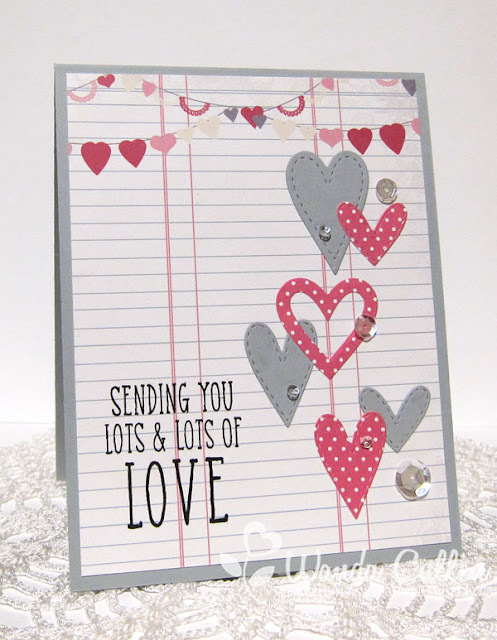 DIES: Sprightly Sprigs and Jotted Heart by Verve; Stitched Squares by Lil' Inker Designs. OTHER: Doily by Recollections; Black Enamel Accents. It's time again for another great photo to inspire your creativity over on the Inspired By All The Little Things challenge blog! I was inspired to use burlap, jute twine and hearts in a red and white color scheme when I saw these jute-wrapped candles. I started with a burlap backdrop to a larger section of Reverse Confetti's All Framed Up die cut from their new Salsa CS. 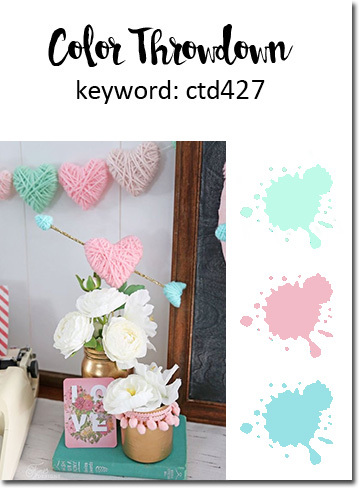 I continued with layering up more Confetti Cuts - Heart Banners, Diagonal Stripe Pretty Panel, Love Note, and Stamped Note. 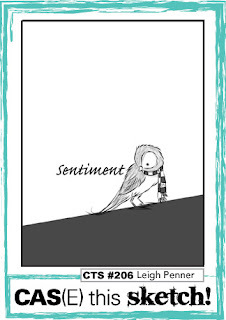 The sentiment is from Reverse Confetti's Bitty Banners stamp set and cut with the matching die. Of course, I had to add a bit of silver glitter CS (seems I can't create a Valentine without it!). We're happy to have Carol Mayne from Just Me: c blog as our guest designer! Be sure to stop and say hello and get to know Carol a bit better through her bio! The rest of the design team has some fabulous samples as well! 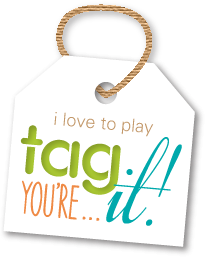 Hope to see you in the gallery! Another quick card and and end of day post for the CAS(E) This Sketch challenge. I had these daisies (Daisy stamp set by Altenew) left over from a previous project, so this came together very quickly. 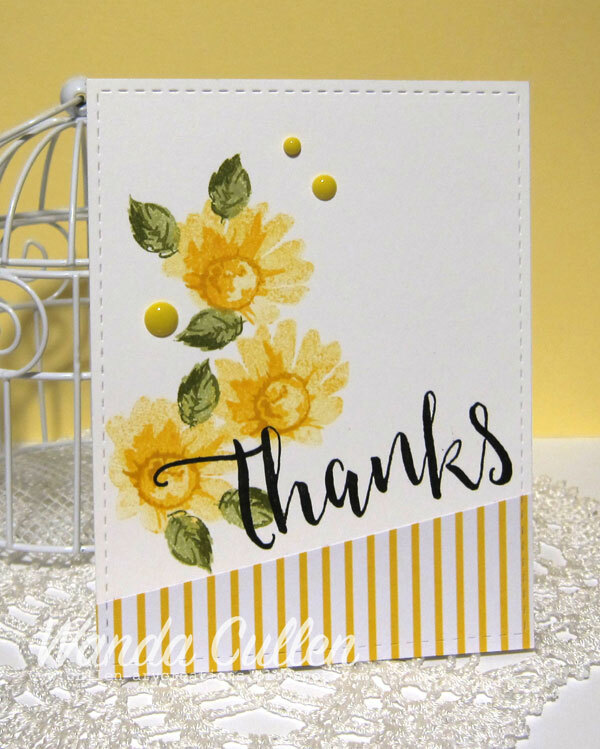 I paired them with paper from Recollections' Craft It Flora 6x6 pad and added a sentiment from Concord and 9th's Give Thanks set stamped twice using a MISTI. One time stamping is never quite bold enough for me when it comes to black sentiments! INK: Daffodil Delight, Crushed Curry, Old Olive, Always Artichoke by SU; Versafine Onyx Black. After seeing Jennifer McGuire's new video tutorial today on new versions of emboss resist, I knew I wanted to try out a new Tim Holtz blending tool and enter the Where Creativity Meets C9 Challenge #5 to "Try Something New". What's pretty impressive IMO is that I created this card while babysitting a 2 year old and 6 month old! Gotta love my grands and their nap times! 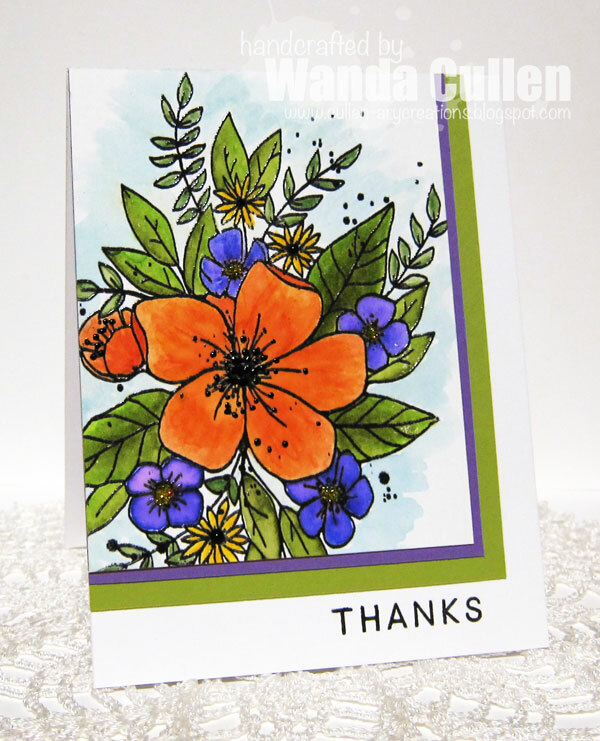 I used PTI's white cardstock and clear embossed the images from C9's "Wildflower" stamp set. I then added distress inks - Cracked Pistachio, Mowed Lawn, Peacock Feathers and Mermaid Lagoon - using the TH blending tool. I previously always used sponges for blending, but this tool definitely gave better and smoother ink coverage! 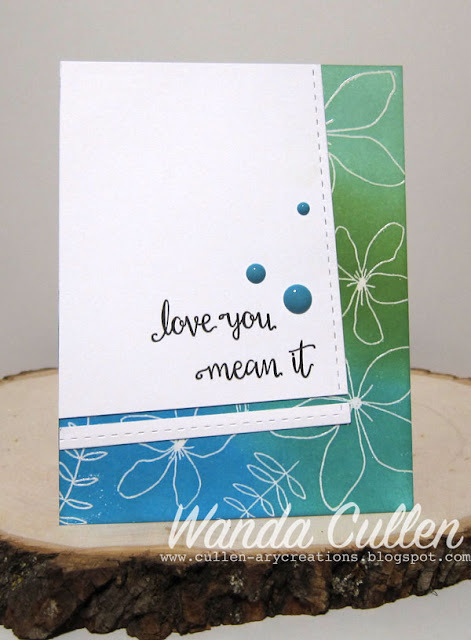 The sentiment is from C9's "Love You, Mean It" stamp set. 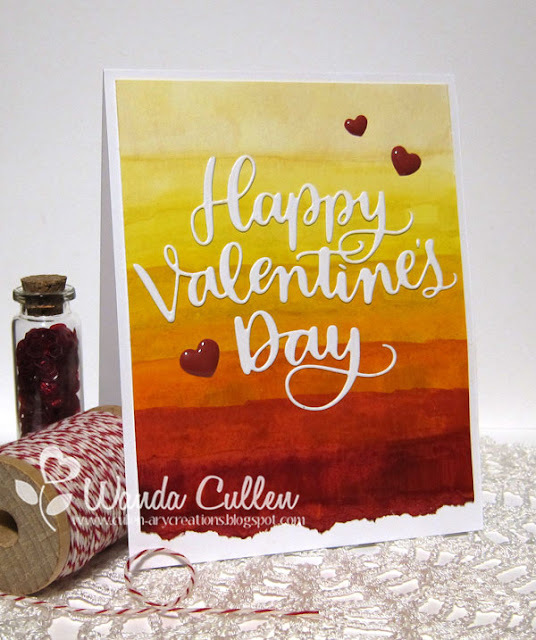 Another Valentine...this time using the sketch for the new Freshly Made Sketches Challenge! I love these adorable pups from Reverse Confetti's Puppy Love stamp set and they paired up perfectly with RC's new papers and inks! I used washi tape for the horizontal element and accented with the tiny hearts using Flamingo ink by RC. Images were colored with Copics (C1, C3, C5, C7, RV13). 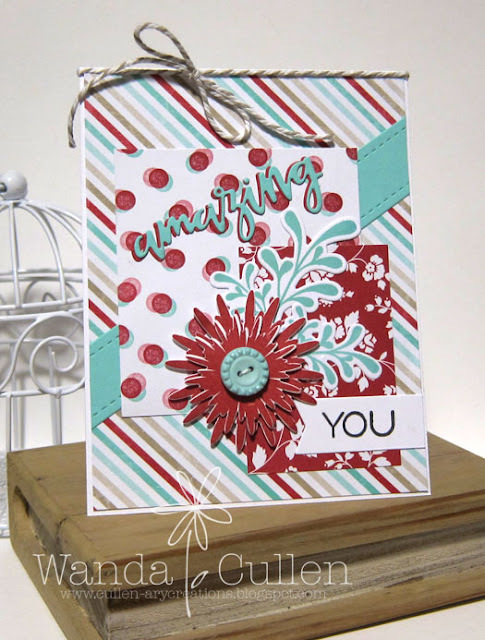 Stitched circle dies are by Lil' Inker Designs. PAPER: True Love 6x6 pad by Reverse Confetti; X-Press It Blending Card; White by PTI. INK: Flamingo (RC), Memento Tuxedo Black. 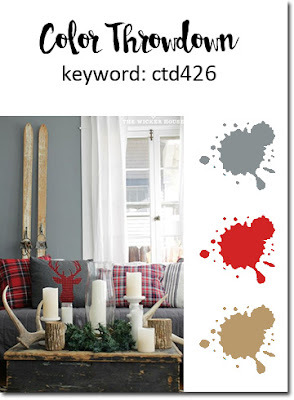 There's a great new color combo going on for the new Color Throwdown Challenge! 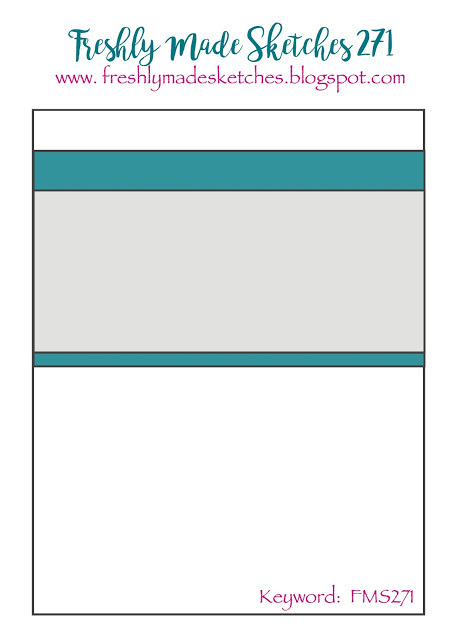 Lori is our hostess this week and has chosen these lovely pastels: pink, mint green and light blue/aqua. I was definitely inspired by the hearts and the flowers in the photo! 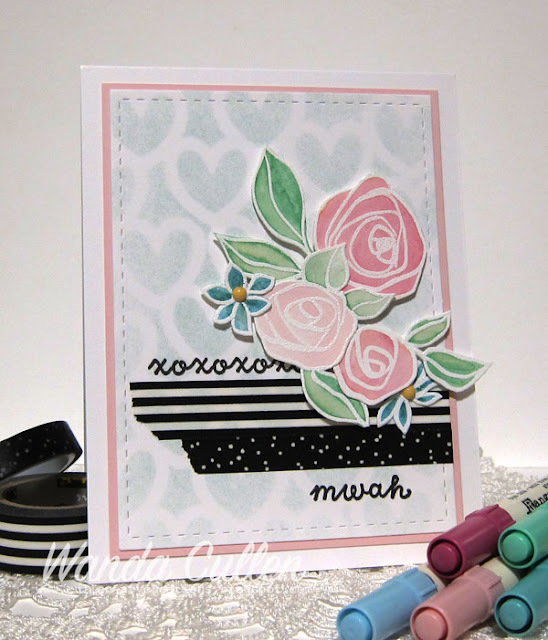 Here's what I came up with using the Bamboo Rose stamp set by Altenew and a new Heart Stencil and Crazy About You stamp set from Reverse Confetti. I white embossed the florals on watercolor paper, then scribbled distress ink markers (Spun Sugar, Picked Raspberry, Tumbled Glass, Evergreen Bough, and Cracked Pistachio) and blended them lightly with water and a brush. I fussy cut and popped the florals with foam tape after adhering washi tape and stamping a xoxo border over the stenciled background (using Soft Sky ink by SU). 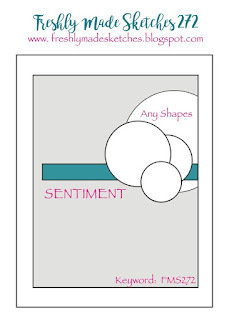 The panel was layered over a beautiful new shade of Piggy Bank cardstock recently released by Reverse Confetti. 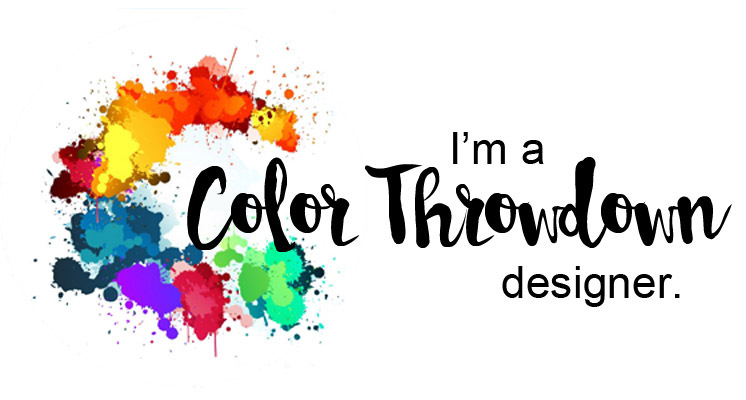 Be sure to visit our guest designer, Leigh Penner, and our guest star stamper, Koren Wiskman, to see their lovely take on the colors! 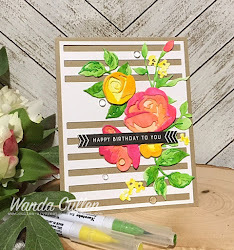 I was needing a birthday card this week and already had this water colored and stamped base panel left over from a previous project, so I added some texture paste using a Dylusions dotted flower stencil to add more texture. I then layered up some die cut leaves and roses and paired them up with one of my fave stamp and die sentiment sets. 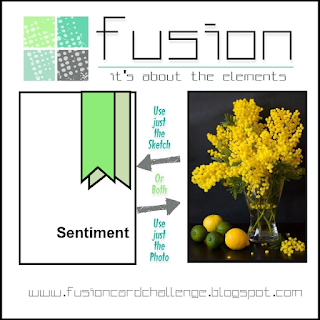 I'm also entering this into the current Fusion Challenge which has an awesome inspiration photo with bold yellow with greens. STAMPS: Wet Paint (PTI); Off the Grid (SU). 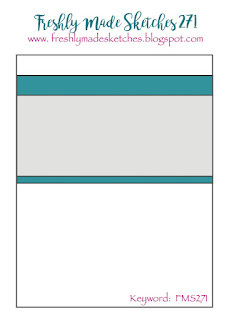 PAPER: Ranger watercolor CS; Tropical Teal and White CS (PTI). INK: Distress inks (Peacock Feathers, Twisted Citron, Evergreen Bough, Mustard Seed); Versafine Onyx Black. DIES: Layered Leaves (MFT); Circle Scribbles (PTI); Wet Paint (PTI). Good Monday everyone! I'm bringing you a little sunshine with my card sample for the Mojo Monday challenge! 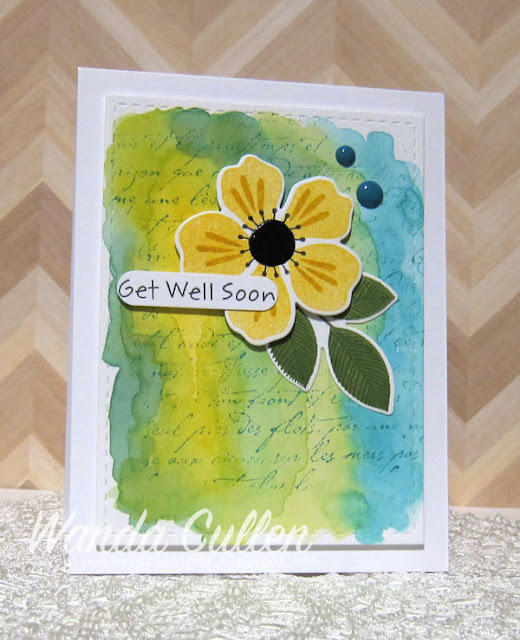 I thought it would be fun to interpret the large half circle element as a sun shining brightly, so I dry embossed the base panel using the Rays embossing folder by Sizzix. I then sponged with Daffodil Delight and Crushed Curry ink by SU. Designer paper is from Echo Park's "Sunny Days" 6x6 pad and the gold hearts were die cut (Verve's Heart Quartet Die) from SU gold glitter cardstock. 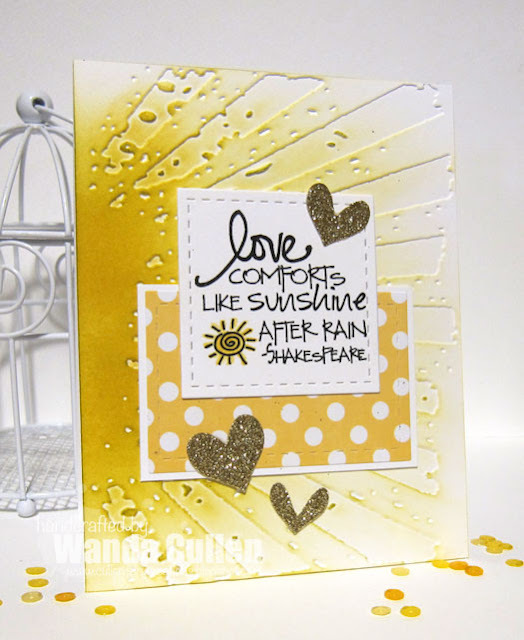 The sunny theme was perfect to use this sentiment from Verve's Stronger Love stamp set. 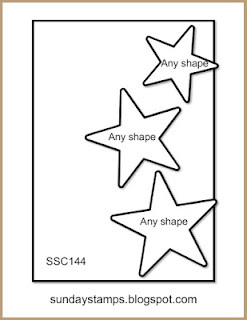 Stitched square and rectangle panels are dies by Lil' Inker Designs. A quick and easy take on Julee's great sketch! Happy Sunday everyone! It's a gloomy, rainy day in VA but I'll take it, because it means I have a great excuse to get inky! After seeing Kristina Werner's Faux Dip Dye with Watercolor tutorial, I knew I wanted to try this technique. I used my Mijello Mission Gold watercolor palette with yellow/orange/red tones rather than pink and red. 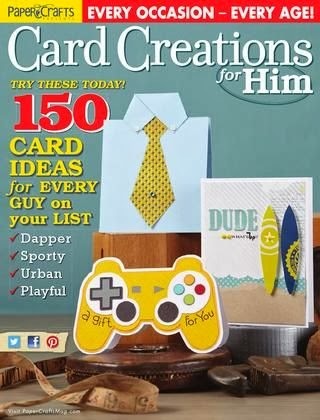 I thought it would be a better fit for a masculine Valentine. 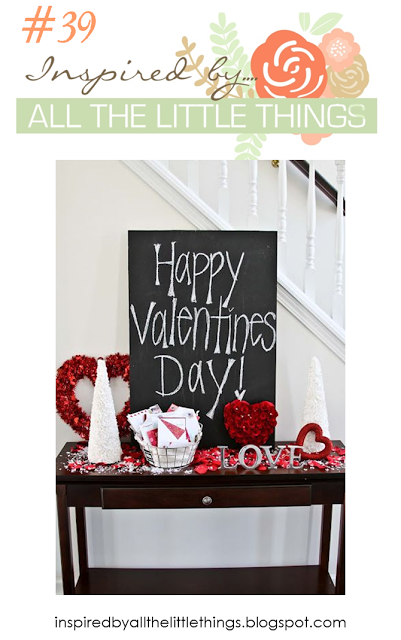 I was also anxious to try out the Stick It adhesive paper to adhere the large intricate dye (Big Valentine's Day by Simon Says Stamp - oops, I see it's OOS) and it was SOOO much easier and cleaner than my usual method of adding glue with a glue stick! I'm entering this into the CAS on Sunday challenge where they are celebrating their 100th challenge with a theme of hearts. 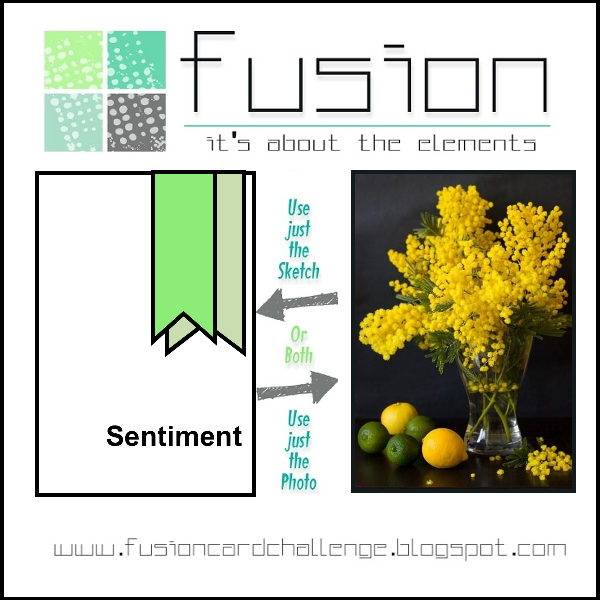 There's a fabulous new sketch by Chrissy Larson over on the CAS(E) This Sketch challenge blog! It was perfect to ink up a new Concord and 9th image from their Hello Lovely stamp set! I watercolored using distress ink markers then blended lightly with a brush. I added yellow stickles and black enamel essentials to the flower centers. DISTRESS MARKERS USED: Dried Marigold, Abandoned Coral, Squeezed Lemonade, Mustard Seed, Shaded Lilac, Wilted Violet, Twisted Citron, Peeled Paint, Mowed Grass, Tumbled Glass. I'm not happy with the watercoloring so will need to try to use paints instead of markers next time. :-( Rome wasn't built in a day...right? I used distress ink markers for the mum (Spun Sugar, Victorian Velvet, Milled Lavender, Worn Lipstick) and leaves (Mowed Lawn, Peeled Paint, Twisted Citron, Forest Moss). I scribbled the colors on Master's Touch watercolor paper then spritzed the paper with water and used a brush to lightly blend the colors. 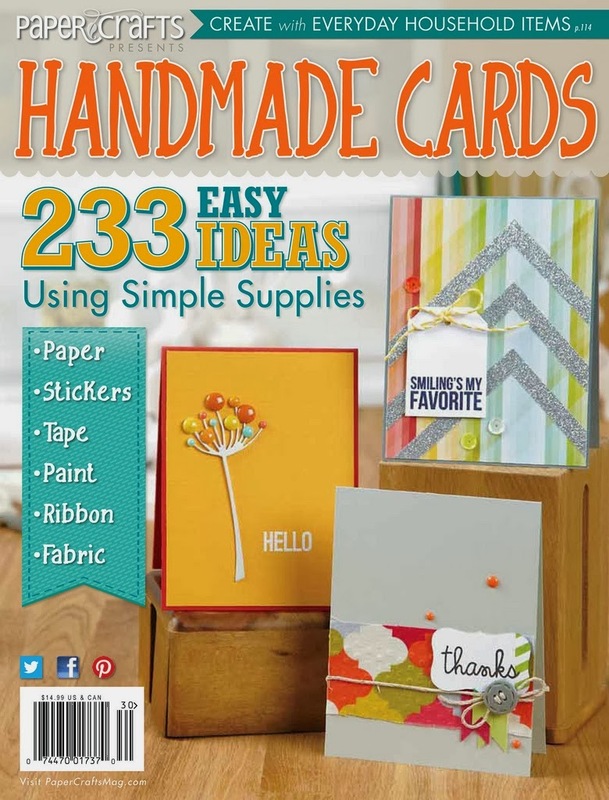 I found these small inexpensive 4" x 6" pads at Hobby Lobby - 12 sheets for $1.99. 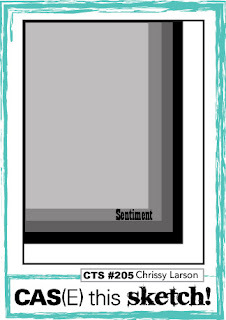 This compares to the Tim Holtz distress WC cardstock that I normally buy - twenty 4 1/4" x 5 1/2" sheets for $5.99. I layered the mum die over some Blushing Bride CS (SU) and hand trimmed around the edges. Part of the sentiment is gold embossed on vellum and adhered with Elmer's Craft Bond spray adhesive. 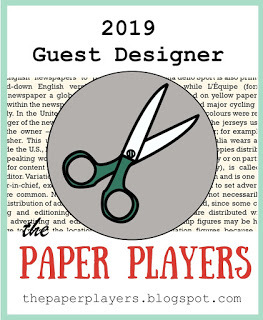 We're happy to have Donna Rudy from Kards By Krash Scrapper joining us as guest designer. Be sure to stop by the challenge blog HERE to get to know Donna better! I can't seem to stop picking up this stamp set - Bamboo Rose - by Altenew! 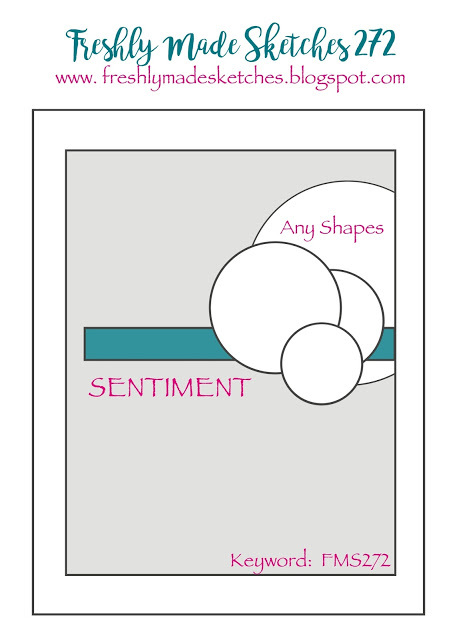 I'm playing along with two great challenges: Freshly Made Sketches and The Card Concept. I was inspired by the black and white with pops of red/orange tones in the inspiration photo for starters. 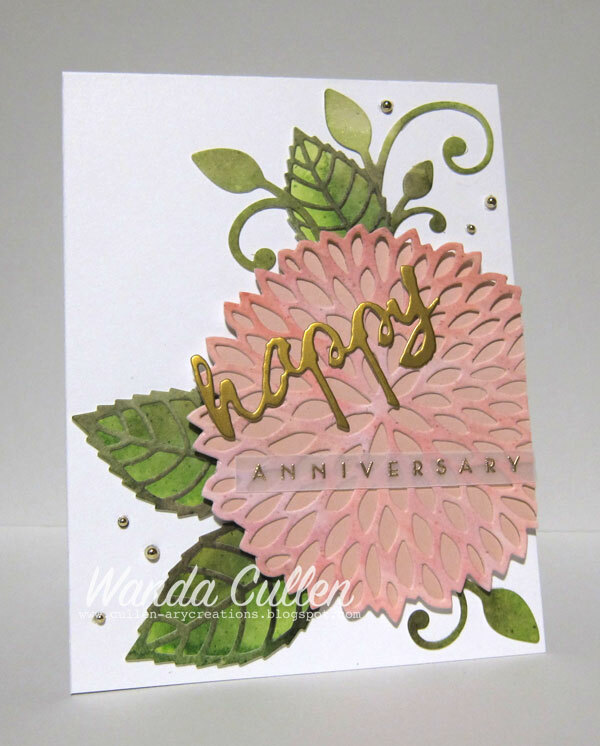 I gold embossed the images on Ranger watercolor CS then used Mijello Mission Gold watercolor paints (two shades of green and a shade of orange and red). I had to fussy cut the images and will be glad when my coordinating Bamboo Rose dies arrive! 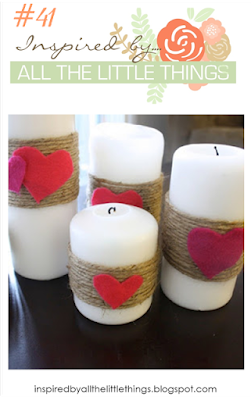 They make crafting life SO much easier - lol! The patterned paper is from Echo Park's For The Record 6x6 pad. This sketch is a keeper and will be used again and again for its versatility! Thanks for stopping by...time to hit the shower then head out to work. Papers are from an older 6.75" x 4.75" pad called Martha Stewart Holidays. 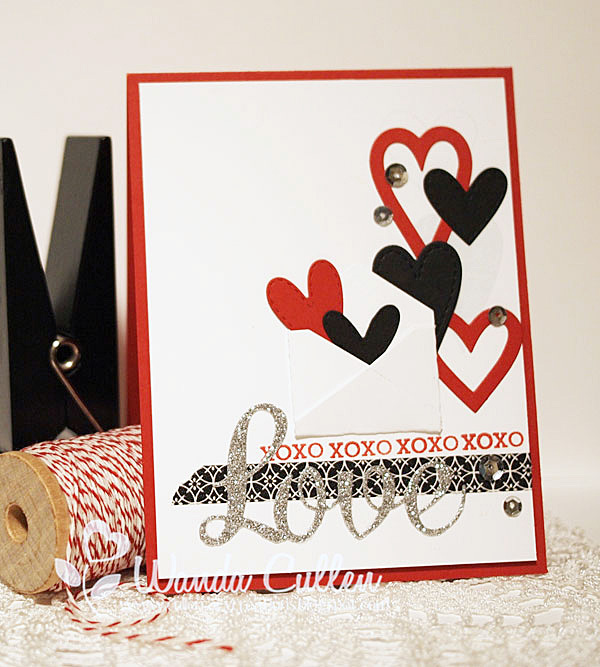 The stitched dies are by Lil' Inker Designs and the Love die is by Impression Obsession. A quick and easy card using rose, gray and vanilla for the Color Challenge on SCS. I'm also using the sketch for the current Sunday Stamps Challenge - subbing hearts for the stars. 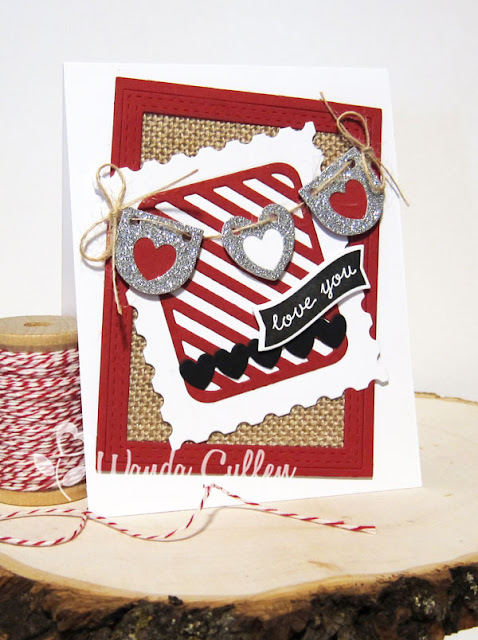 STAMPS: Crazy About You (Reverse Confetti). PAPER: Secret Crush 6x6 pad by pinkpaislee, Smoky Slate by SU. DIES: Hearts by The Cat's Pajamas. 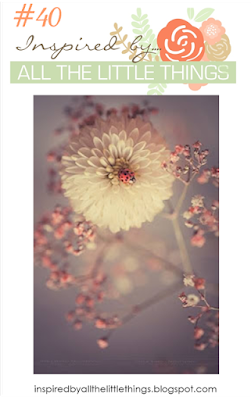 STAMPS: Flashy Florals (MFT), Pure Innocence Best Medicine (MFT). PAPER: Ranger watercolor CS, White base by PTI. INK: Daffodil Delight, Crushed Curry, Wild Wasabi, Garden Green (all by SU) along with above mentioned distress inks on the BG. ACCESSORIES: Flashy Florals Die-Namics (MFT), Window word punch by SU, Enamel dots, Stitched rectangle die by Lil' Inker Designs. Thanks for stopping by! I need to get out of my craft room and into my kitchen and stir up a pot of Wendy's knock-off chili recipe. It's our favorite! Good Monday everyone! There's a new Mojo Monday Challenge going on and it's another great sketch by Julee! I went with one of my fave color palettes with DP from SU's Fresh Prints paper stack that includes Real Red, Coastal Cabana and Crumb Cake with White. I've neglected using twine for some time now, so added some to the top of the card. 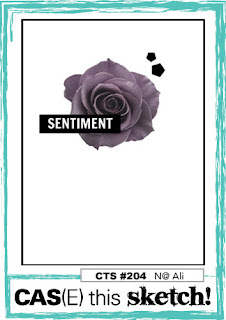 STAMPS: Simply Amazing (daisies), Sunny Days (leaves), You and I ('you' sentiment) - all by Verve. DIES: Simply Daisies, Leafy Sprigs, Amazing Adjectives and Flag It Die set - all by Verve. 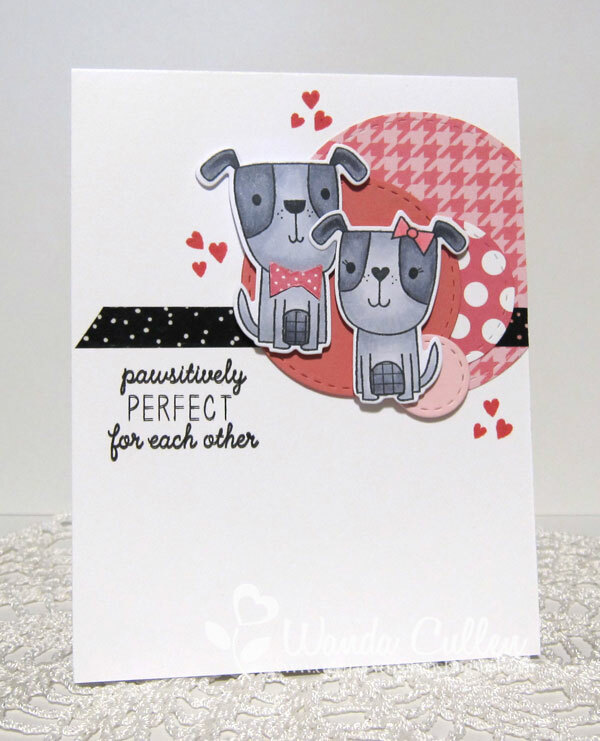 Stitched border die is by Lil' Inker Designs. I stamped a couple of light gray hearts in the background which are so light they don't show up in the photo. 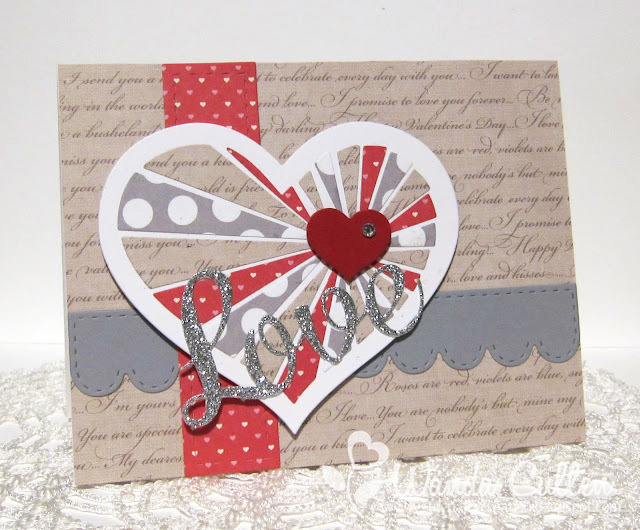 :-( I layered some die cut hearts and also tucked a couple into a tiny die cut envelope. The sentiment was layered over a strip of washi tape. STAMPS: Conversation Hearts by The Cat's Pajamas. PAPER: Real Red by SU; True Black and White by PTI; Silver glitter cardstock by SU. INK: Real Red (SU); Fairy Dust (WPlus9). ACCESSORIES: Love die by Impression Obsession; Washi tape; Silver sequins; Envelope and Nested Hearts CutUps (dies) by The Cat's Pajamas. 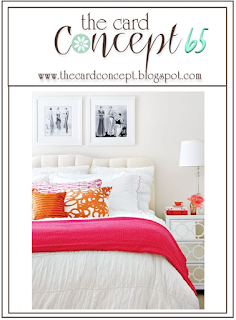 We're so happy to have Hannelie Bester of the Desert Diva blog as our guest designer this week! 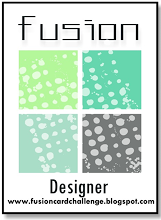 Hannelie has a great talent for fabulous CAS designs, so be sure and stop by her blog and say hello! You'll see a new name added to our design team lineup - Silke Ledlow! I've been a fan of this talented lady for a long time and am thrilled she'll be joining us! Welcome, Silke!